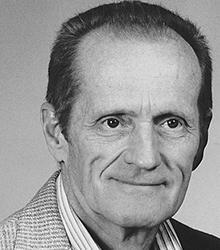 Paul E. Boehk, 83, of Rockport, Texas, departed this life on Wednesday, August 20, 2014, in Corpus Christi, Texas. Paul was born in Maumee, Ohio, July 17, 1931, to Florence G. and Elmer E. Boehk. He served as a pilot in the U.S. Air Force as an F-100 Pilot with the Toledo Air National Guard, and a CPA with Price-Waterhouse & Co., and last as the Controller of Champion Spark Plug Co. In addition to enjoying flying Fighter’s for the Air Force, he took pleasure in traveling, watching racing, playing card games, solving crossword puzzles, and most of all, loving and caring for his dogs. Paul is survived by his wife of 58 years, Glenda; his children, daughter, Shelley (Scott) Dinkens of Corpus Christi and son, Scott (Vivian) Boehk of Bowling Green, Ohio; grandchildren, Devon Dinkens, Dillon Dinkens, Drew Dinkens, Dana Dinkens, Emily Bacon, and Audrey (Anthony) Green; great-grandchildren, Cameron Green and Kirsten Green. He is also survived by his extended family: a brother, Philip Boehk; sister-in-law, Rev. Dr. Karen S. Boehk; nephews, Matthew (Leslie) Boehk and Christopher (Jennifer) Boehk; niece, Carol Vollbrecht; dear friends, Judy (Don) McCullough, Martha Johnson, Teresa (Don) Bacon, and Tom Johnson. His parents and his sister, Shirley Vollbrecht, preceded him in death.